From my perspective, it seems the two things care partners either forget, don’t realise, or forget to acknowledge, is that we (people with dementia) have feelings, and we, not them, are diagnosed with a progressive, chronic and terminal illness. We are facing our own mortality. Dementia is a progressive debilitating illness with little treatment, and no sign of a cure in sight. 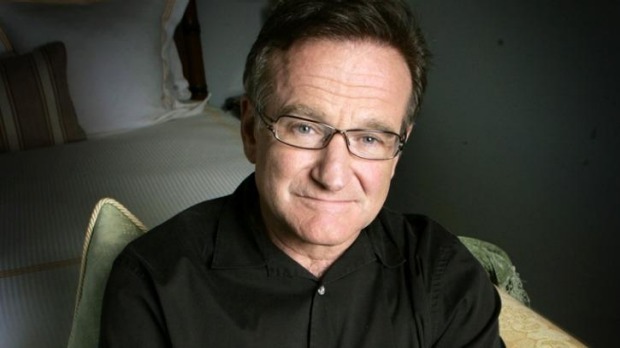 Robin Williams was living with a form of dementia that his family believes was a “key factor” leading to his suicide earlier this year, according to a report… it is obvious he felt a burden to his family long before he really needed any level of high care. I often feel like more of a burden because of what care partners and others say or imply about people with dementia. It often sounds like we should be the only ones who are grateful and they are the only ones with any difficulties or challenges. Very often, a care partners comments, especially about being a ‘burden’, or how we don’t ‘understand’ what it is like for them, simply deepens my/our guilt, and the sense of being a burden to my husband and children, and the feelings of shame and humiliation. Their words (on blogs, in conversations, and in the media or in research) often deepen my very deep feelings of grief and seem to indicate they have little or no comprehension of understanding of how it is for those of us diagnosed with dementia. Of course, unless people with dementia speak out, how can anyone else know; they are in fact, care partners and not people living with dementia. I have no doubt, they do not mean to offend or distress people with dementia, in fact quite the opposite, but if we don’t tell them how much something has offended or distressed, how will they, or other others know for the future. Mostly, I truly hope speaking out helps the understanding of those of you who are lucky enough not to have dementia, which is, as you know, a progressive, chronic, debilitating, terminal illness. For those of you who are new to my blog, I have been a legal guardian and Power of Attorney for four family members with dementia, all now deceased, and my mother in law with ovarian cancer, and the fifth person with severe mental illness over 30 years ago, also deceased. And so it is with a significant amount of the lived experience of being a family care partner, I fully understand the emotional and physical load of being a care partner. However, people without dementia do not have the lived experience of dementia (LUCKY THEM)… only the people diagnosed with dementia are the ones actually living with it. Our care partners are living with us, and of course are impacted by the experience and progression of our symptoms, there is not doubt in that. We are too. You get to live on, we do not. When I speak out about my lived experience in no way do I ever mean to demean, devalue or underestimate the commitment, or the load and burden of being a carer. If being a care partner turns you into a martyr, or one who begrudges people with dementia having a voice, and our willingness to share our often very painful lived experience, then we will not progress as a group in a healthy way. Of course we respect and love deeply our family care partners or support people, and everyone who takes on the role of a care partner. But we do feel the guilt and shame of being a ‘burden’ to them. A friend of mine, Mick very eloquently wrote, “Carers are the silent angels who daily perform tasks most people would not do even with payment.” I agree with him, and believe that. In my experience of living with dementia, I feel deep appreciation for the role of carers, the love, compassion, commitment, and friendship. Although sometimes the love does not sound or seem quite so unconditional. After being told recently; ‘If there were no care partners, there would be no options of living at home for thousands of people’ I suspect I would prefer to go into residential care. As if we aren’t acutely aware that we could not function as well without them, but to be made to feel like such a burden, and that we need to feel so grateful???! Thank goodness my husband is not like this. Care partners may feel forced to give up their lives – we are forced to give up our life as we know it with no choice. At least as a carer, there is some choice. Some care partners may not realise this, but most people with dementia feel deep trauma from being diagnosed with this progressive terminal illness that is dementia. Many of us already feel dreadful guilt for always needing to ask for help. I still feel a deep sense of shame and humiliation, and embarrassment when the symptoms become apparent to others, sometimes even to myself. No, I have not got used to living with dementia and have never found it easy, indeed, nothing even remotely like a birthday party. Of course care partners matter; of course we cannot manage without them. In the same way, people with dementia have opinions and rights, and, and at long last, have a global voice of more than one or two. Some care partners may not like what we say, but that is not the point. ← Guest blog by my B.U.B. Hmm – I wrote another reply – did you receive it? It might have gone as a separate comment,sorry. Thanks Kate. I still would like to see a list of “Do’s”. It is well established that people respond much better to positives than negatives. I’m sure it would help your cause. Also I was glad to see the comment in your link that many people dislike being called “carers”. I’m sure my Mother would be infuriated if anyone referred to her as Dads “carer”. He’s her husband and always will be. And they care for each other. As they always have. I’m his daughter. And I was my dear neighbour’s neighbour. Carer is so impersonal. Anyway, I’m looking forward to a “do” list. I know you can do it. Hi Kate. I don’t comment on your blog these days although I read it often and ponder it frequently as I have, and have had, many rels and friends who have suffered and succumbed with “dementia”( a term I dislike). The reason is that since you published a list of “dont’s” when dealing with people diagnosed with dementia I have become fearful as it was quite prohibitive! See – I just said “suffer” which I think is forbidden! You did say at the time that you’d try to publish a list of “do’s” – I know you’re busy and probably forgot but if you could use the wealth of experience you must have (masters, book, etc) – could you? Thanks. Sally. Also- I only used the word “succumbed” as another word for “died”. I think that’s ok. I many still living with dementia, might think it ‘sounds like’ we have given up, and not working hard to live well in spite of dementia.. it does sound/feel like that to me. But, it is a good topic/word to blog about, and get feedback from others with dementia, so thanks. I’m dismayed and angry that some caregivers have taken offense at your blog, Kate. We also are struggling, to be sure, but as for “suffering” a “burden”, that’s pure BS from those who can’t totally embrace their own choices. Dementia impacts all lives around it but it’s the person who lives with it (not alongside of it) who has to choose living over retreating, every bloody day. And no caregiver/supporter can ever know what that feels like. Stella Young said something like “no amount of staring at a stairwell will turn it into a ramp” …..and no amount of “poor me”s will turn a caregiver/supporter’s experience into a valid voice “on behalf of” a person living with dementia. Please keep on using your incisive pen, your gentle but firm voice and your bright-eyed observations to put the “controller carers” in their place. I include myself in those ranks too, BTW, much as I hope I’m mostly a facilitator and advocate for the woman I love. No apologies and “take no prisoners”….because it IS a war against ignorance and fear, and it’s about who has the power to effect change. That has to be PWD. Agreed Kate. Power shifts are never comfortable for those who risk losing power. Lessons from history…. I’m posting your blogs re ” carers” to carer pages. So far a few likes, many have at least seen them. No diatribes as yet! Dear @lyndahenderson51, you mentioned you were posting to carer pages, I’m looking for carer communities for some research I’m doing. Would you be willing to share the pages with me please and thanks? I’m not answering for Lynda, but you might be better to go to actual Carers organisations, as most of the groups I know of, at least in Australia, are set up to be confidential and safe, and therefore not available to researchers… Just another idea for you to pursue Susan. Cheers. Thanks Kate and yes I know, I’m a member of several such groups on FB. Among other things, I’m looking to expand the list of such groups/organisations/pages etc. I already have. Susan, I understood from your comments on this blog that you see yourself as a long suffering carer. I do NOT share your views, as you’ve probably gathered. I have no intention of helping you find anyone with dementia or of facilitating your entry to closed and sometimes secret groups. Find them yourself and have the decency to be upfront about your motivation. I could say much more about what I think of “researchers” looking for guinea pigs to feather their own nests and about caregivers wanting to massage their own egos, but I think you might have the message by now. Go learn something about basic research ethics – the key word is “consent”, closely followed by “respect”. This conversation is over. If you attempt to contact me via my personal email, Facebook or Twitter, I WILL block you. Not only that, I will warn others about your “research” interests. Well done, Kate. Very much reflects my thoughts when listening to complaints. I felt it showed nice balance. Thanks Tru, and it is always interesting to know what other people living with dementia think. Great post Kate and you are so right. Caring WITH my Mom who has Alzheimer’s has been one of the most transformative times in my life and I’m really grateful to have had it. I am inspired every single day by her courage and bravery. I shared your blog on my post today; I hope you get some new followers as a result. Dear Kate, I’m surprised by your reply and your choice not to include my links although that is certainly your prerogative as this is your blog. I try my best to share my experience on my own blog using what I consider to be language that respectfully captures the nature of my experience as well as that of my Mom to the best of my ability. I did a search and found the word “sufferers” on two old posts amidst the hundred or so that are there. I have changed it where it occurred. However, I would submit to you that people with dementia might also want to consider what is respectful to those who choose to commit to care partnerships with those we love who have dementia of which I understand you have been one in the past with your various relatives. It’s a two way street. And while I personally have found great joy in this journey, I have also suffered greatly because of it. So in a sense I am a dementia sufferer. No we don’t. We all die of something. Everybody dies. Some care partners who DON’T have dementia die before the people they care with who DO have dementia due to the stress of the caring partnering experience. Should I call you to task for using the word burden in your blog post? That would be nit picking and unproductive in my opinion. To echo what you have said: in my blog and/or in any of my writing in no way do I ever mean to demean or devalue anyone with dementia. I think your judgment of the language I use in my blog is unfair and unjustified and I take exception to your reply to my comment. All of THAT said, I know I should probably say nothing at all because numbers 2 and 3 on your list (which I agree with) are related to not arguing. But you know, I couldn’t help myself. Because I am human, just like you. And humans don’t always fit well into boxes or abide by rules or do what is politically correct. And there really are no absolute rights and wrongs. My husband would agree with you about his suffering, and often says it is him, not me that is suffering, watching my decline from the sidelines, with nothing he can do to prevent it. For many (not all) people with dementia, we feel the word sufferer is as bad as what a person with some other disability would think of being called a retard, or retarded. Simple semantics, for sure, but each group has to say for themselves, what is and what isn’t respectful. In the same way carers have that very same right. I think the big thing that is happening globally, and I have experienced it first hand as a volunteer in some consumer groups in Australia, is that carers have never had us speaking up about what we do and don’t like before, especially not in such numbers, nor so loudly, and it is taking everyone some time to get used to. Often the behaviour, and comments, feel and sound like negative signs of them losing their control and power. My blog was in fact a reaction to some very disturbing and challenging comments made by family carers, and I felt I had to speak up publicly about my own feelings. I try to be respectful, and usually preface things with – not everyone is like this – but there are a lot of carers out there who blame us for making their lives so hard, and who call us sufferers, and burdens, and who I have also heard on social media, say at the anniversary of a partner’s death, “Oh wow, I have had MY life back for x-y-x months!” (quote). These things, which constantly appear, are distressing, end depend our shame, guilt and feeling like we are a ‘burden’. Take care, and keep on telling your own stories, we all have them. I want to add something on the subject of suffering and sufferers after having rolled it around in my head for the last hour or so. It may well be that you are not suffering. But I believe many people would characterize feeling “deep trauma… dreadful guilt…. a deep sense of shame and humiliation” as suffering. It may also be that the relatives you cared for did not suffer. And that others you know who have dementia do not suffer either. But I can tell you that mother has suffered a lot and she continues to suffer. She suffers from anxiety, confusion, and fear. She suffers the indignities of people who treat her like she’s less than human. She suffers from the loss of her physical capacity. She suffers greatly. She has told me several times that she wishes she would die. And she would have suffered and continued to suffer a helluva’ lot more if I hadn’t given up the life I knew to care for her. I gave up my life. That’s a fairly substantial sacrifice for one person to make for another. True, I chose to do it. But I could have chosen otherwise, in which case she would have suffered more than she has and still does. Did she resent me caring for her when she had more of her faculties? Yes she did. Did she take her anger and frustration out on me for having to depend on me? Yes to that too. Was that MY fault? No. Absolutely not. We both suffered through that. 1. To feel pain or distress; sustain injury or harm. 2. To have a specified shortcoming or weakness; To sustain a loss, setback, or decline in effectiveness; become worse. 3. To appear at a disadvantage. 4. To experience, undergo, or feel something painful, injurious, or unpleasant. b. To undergo or be subjected to a negative experience or development. I would say on all counts that my mother suffers from dementia. You may not. I grant you that. But she does. And some people who have dementia and who are not suffering may prefer not to be called sufferers. I respect that too. And I also reserve the right to tell it like I see it using the words that accurately describe the experience in context. Likewise I respect your right to disagree. All of that is simply for additional clarity and to add to the ongoing conversation. I guess my comment to all of your words above, is I agree, we are all suffering some of the time. However, in the same way people with disabilities do not like to be called retards or retarded, even though, not very long ago, if you looked up the definition, they are two of the words used – now, most updated dictionaries have those words listed as ‘Offensive’. I often call myself a retard, but would not call anyone else that publicly… the impact of the constant reference to us as ‘sufferers’, gives no indication we are not suffering all the time, nor that it is possible to live well some of the time. I have had a number of conversations about this a number of times on this blog, and it always get interesting and thought provoking responses. No-one is right or wrong, but there is etiquette when speaking about a group of people in the public domain, just as there is for Indigenous people, people with disabilities and the gay community. Globally, there has been a push from people with dementia themselves, that says it is not ok to call us sufferers, even though some of the time we suffer. Re: “there are a lot of carers out there who blame us for making their lives so hard, and who call us sufferers, and burdens, and who I have also heard on social media, say at the anniversary of a partner’s death, “Oh wow, I have had MY life back for x-y-x months!” (quote). These things, which constantly appear, are distressing, end depend our shame, guilt and feeling like we are a ‘burden’. Well, I surely see how anyone would find such things completely unacceptable. I would too. I agree there are a lot of misconceptions. I said in a recent blog post that my understanding of the disease and those who have it has changed 180 degrees in the last five years. That change came from my experience with my Mom; it has been both joyful and soul-destroying. Two sides of the same life coin. I’m sorry you have felt the brunt of such comments and I’m glad you are fighting back and taking a stand with your blog. We’re on the same side, even when we agree to disagree. I can only say to this… you didn’t leave your judgement at the door, so why should I. Yes, I am a caregiver to my mom of ten years… and you say we have a choice? In my case I did not, unless I wanted to be on the street with my teenage daughter and without a home. My mother has been nothing but grateful and kind, she is 92 and has made no complaint. Neither has she felt like she has “suffered”, in fact just the opposite. She has told me that I should put her in a home, that it is too hard on me. I have chose not to do that. I’m sorry, but I take offense to your article’s ‘tone’. And yes, I am very likely going to go down this road myself someday, as not only my mother has Alzheimer’s, but my grandmother did too (her mom). I hope I never get to the point where I am bitter like you. I fully accept your experience is different to mine, and am also thrilled to hear your mum has not suffered, which the media, and many family carers claim publicly that we (people with dementia) are all sufferers. I also accept you might find my blog offensive or not like the tone, that’s ok too. We both have a right to our own feelings, and maybe I judge too harshly as well, that’s been said of us all at times I’m sure. You sound like you are doing an amazing job looking after you mum… well done. Even in a political election win, rarely are 50% of the voters on the winning team, so of course I expect there will be many who disagree with my point of view, which is, after all, all that my blog is. If I sound bitter, then you have misinterpreted, as I am so far from bitter you would be surprised. I do however get annoyed with the assumptions people make that we don’t understand the amount of commitment it takes to be a carer, as i have been one more than once. Oh, and as it is my blog, I don’t feel I have to leave my lived experience (you called it judgement) at the door… you on the other hand don’t have to read it. Another choice. Thank you Kate for your honesty and insights and helping give me a better understanding of dementia. That is great. I learn a lot from your blog and Joe Potocny’s blog from California. Thank you. Yet more food for thought Kate. Your heartfelt, balanced and eloquent comments are a very important part of the dialogue. Your voice as the person living with the dementia gives a brilliantly expressed insight for those of us who do not live with dementia – at least it does for me. I think a lot about the experience of living with dementia and about the lived experience of those who support those who live with dementia – your comments really help me bring a more in formed and rounded perspective to those thoughts. As always, Kate has a magical way of putting things into perspective, and has the guts to stand up for what she believes in. It is true that I, as a carer, often say “you have no idea what I have to go through every day” but I also say “I have no idea what my husband is going through”, particularly as he doesn’t verbalise his own frustrations or feelings to me as well as he used to. Maybe he’s trying to protect me in some way. However you are involved in dementia, it is equally hard – either caring for a person with dementia or for the person with dementia, or for the other loved ones in the family. Well done Kate, for voicing your opinion. As always amazing well written and food for thought for this carer. Thank you.